It wasn’t the Sierras; the waters couldn’t be waded into; and not a trout stirred below the waves. After three weeks reacquainting myself with California’s streams, bass and bluegill, and warm wading- all foreign to Berlin- I found myself again watching numerous species of European fish sip from the topwater. And again I was uncertain as to my next move. 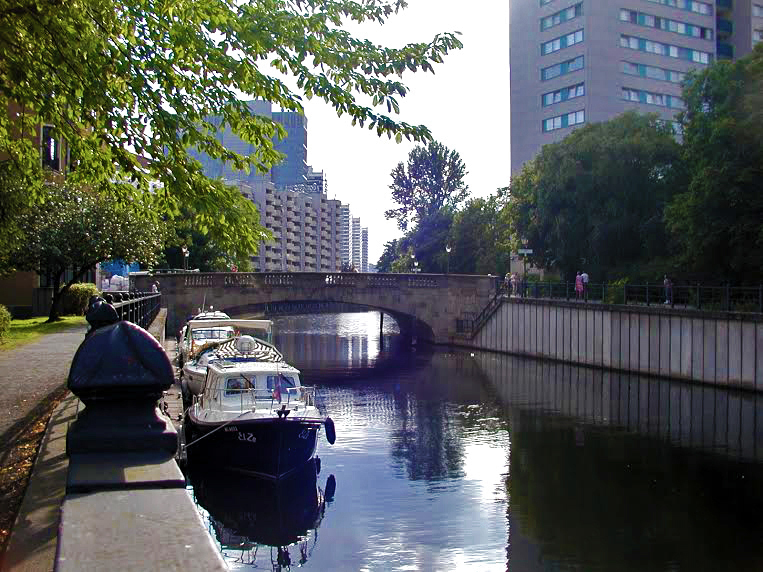 There are no mayflies, caddisflies, or stoneflies on a Berlin canal. It’s logical that there should be crayfish, though this has yet to be confirmed. 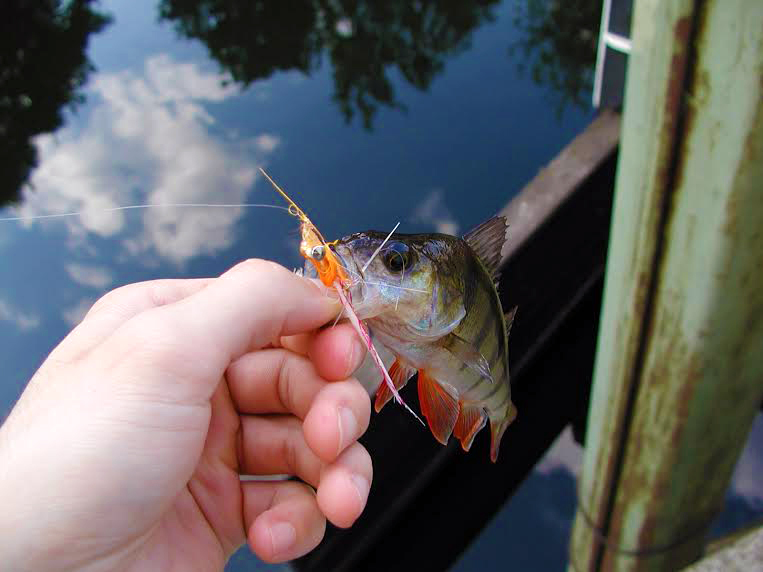 What is certain is the presence of buzzers (chironomids, blood worms), mosquitoes , and, well, fish. “Would this work?” I held up a small, sized 12 white baitfish imitation. “Sure, if you don’t mind catching a bunch of small fish, too” came D.’s reply. He’d spent as many years fishing Berlin waters as I had the Bay Area’s. I wasn’t going to be stiffed on my first session upon returning to Berlin and decided to glean knowledge however possible. Before tying on my fly D. caught a small perch. His quick success bolstered my meager confidence and in this moment I decided that not only would I not be deprived of a catch but that I should, also, filter out the feeder fish by tying on something larger. 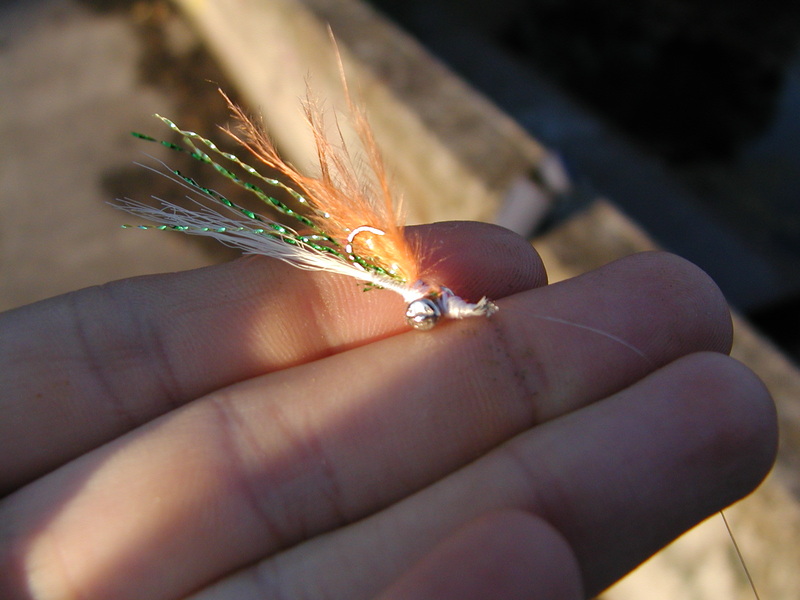 This fly was an orange and white clouser minnow, fastened to a size 8 Gamakatsu streamer hook. Important Reminder: Clousers catch everything. 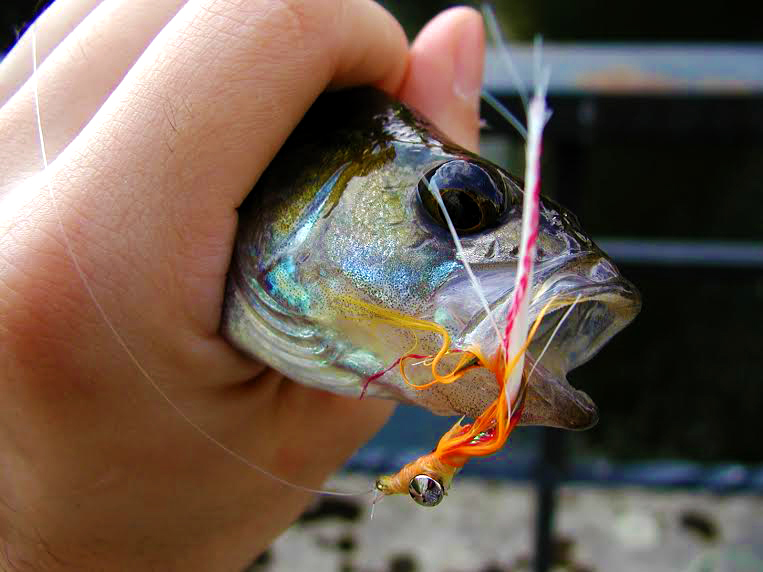 Casting near a bundle of half sunken logs, the bite told me Perch but there stirred a small hope for “pike.” It was a perch. A beautiful perch. 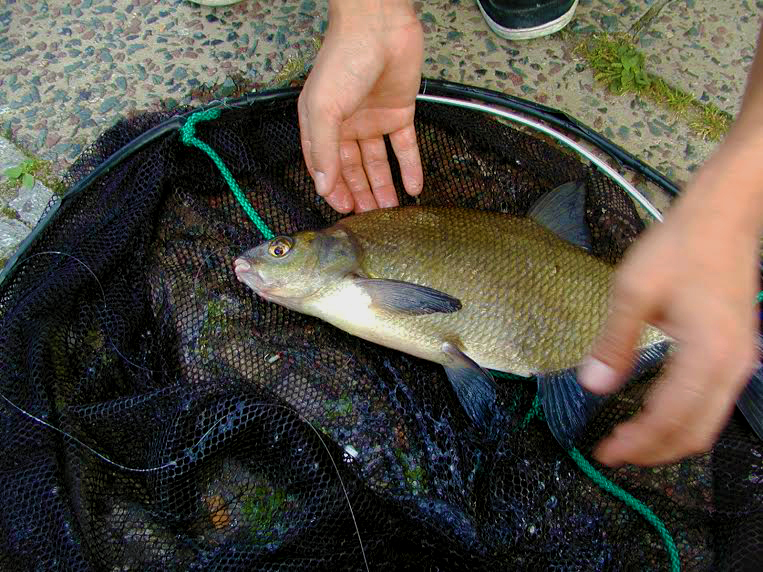 I had spotted these fish in one of my favorite Berlin streams. They perform interesting feeding habits, whereby an individual will swim to the bottom, engulf soil, return near the surface and spit out his mouthful. I had found that that placing a small red buzzer directly in front of the fish during his rise produces a bite. I’d yet to make this technique result in a fish, but bites were a first step. Thus, I was committed to catch blei using the mentioned tactic; and I stayed true to my word, as none were caught by my hand. Blei,as it turns out, are uncommonly difficult to handle as they secrete an impressive amount of mucus and wait to be out of water before fighting. It’s as if they realize once hooked they’ll be pulled from the depths, therefore they resign all protestation and energy for their revenge that comes in the form of spreading as much of their foul smelling ooze over as much property of the angler as possible. Unfortunately, my friend wasn’t able to keep hold of the fish, resulting in a lack of quality pictures and surely head trauma to the fish. After a few tense moments the fish came to, was released, and swam away, albeit in a sort of desultory, drunken fashion; I hope his new lazy-eye, speech impediment, or predilection for counting bubbles doesn’t disturb his buddies too much. No, I wasn’t in the Sierras. The nearest trout water was tucked away an hour north, surely hidden. But Berlin holds its bevvy of interesting species and interesting experiences. In shortage of classic fishing waters Berlin lays before itself a vast catalogue waters waiting to be explored and tapped. I intend to continue to do just that.